As part of its European tour and after premiering in Stockholm last May, the project ‘Oh My Home – Lost & Found’ will be presented in the arts programme of the International Documentary and Short Film Festival DokuFest 2015 in Prizren, Kosovo, between 8 – 14 August. Oh My Home is a collaboration between digital media Lalya Gaye from Attaya Projects, street artist Saadia Hussain from Sweden and cross-media artist Ixone Ormaetxe from the Basque Country. It is developed within the framework of the Corners Project, which Lalya has been part of since last year through the Newcastle-based arts organisation ISIS Arts. OMH consists of a public space installation, performance and series of participative activities based around the notion of ‘home’ in relation to borders, migration and the domestic. 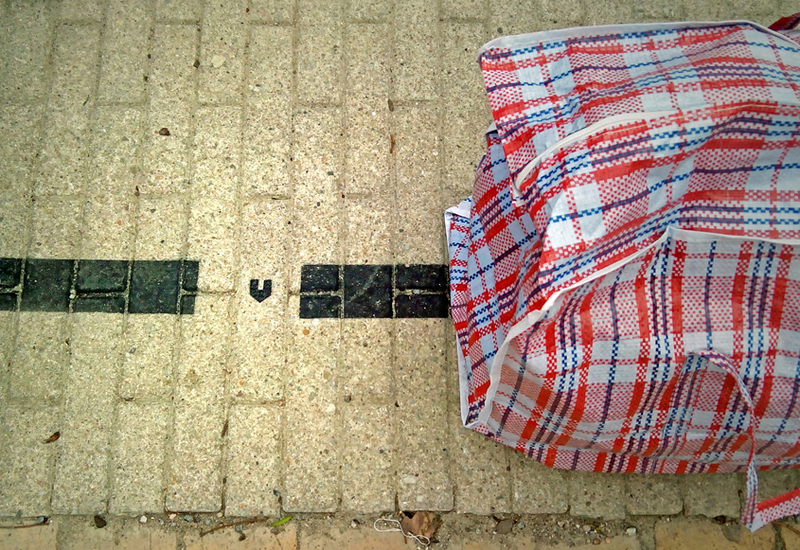 A good fit to Dokufest’s theme for this year’s festival which is ‘migration‘, and to the location since the installation uses a large number of “cabas Barbès”, also known as “immigrant bags”: these were first mainly associated with African immigrants in France but are now widespread across the globe and used for a variety of home- and migration-related purposes and contexts, including the Kosovo exodus in the 1990’s. The bags therefore have a strong connection to this place and we are looking forward to see how the installation resonates with people in this context. DokuFest is one of the most exciting film festivals there is. We’re very happy to take part in it and look forward to engaging with the local population and festival visitors through this project! l'objet : le cabas Barbès from Elsa Perry on Vimeo.